War and religion go hand in hand. From the Crusades to the Thirty Years War, history is filled with examples of this being the case. When examining newspaper articles from the time of the Revolutionary War, I expected there to be many references to religion or words pertaining to religion. In trying or uncertain times, it’s only rational for people to cling to what they see as familiar or safe, and I thought that this time period would prove to be no different. Of course, it would be unreasonable for one to believe that religion and war were consistent throughout all publications. So, publications located near battles considered horrific (loss of life, missing soldiers, etc.) were selected. The dates researched were immediately following or as close as possible to the dates of these battles. The results were iffy, regarding my theory. In some places, such as Germantown, Pennsylvania, there was wonderful coverage of the battle and a few times within an article, religion or words closely related to religion were mentioned. However, in other places, particularly in the South, religion was not used as frequently in pieces discussing major battles. The regional difference was eye catching. Immediately, one has to wonder what was the cause of this? One explanation that seems to gain the most traction is the size of the southern United States, its smaller population at the time and the lack of newspapers that were established in the region at the time. Another correlation that could explain the lack of religious wording in articles is the smaller church attendance rate in the South when compared to the North. Though the national average was twelve percent and the overall attendance rate in the South and the North was twelve percent, specific rates in the south when accounting for total population (enslaved people are included) saw numbers around eight percent (Stark). It seems as if religion in the south at the time did not find itself placed in the media as often as in the North because the people of the South did not find it to be that big of a part of daily life. My research did not find the results I thought I’d find regarding religion and the media at the time. However, it did reconfirm a belief that many, including me, already had about the American Revolution. The biggest concern for the people of the time was not that of religion, but of a different belief, liberty. This word, which seems inseparable from the Revolution, appeared many times over the course of the articles, and this shouldn’t be surprising. After all, isn’t that truly what the American Revolution was all about? Religion continued to play a part in people’s lives and that can’t be denied. But, it would be wrong of me to leave out the secular, Enlightenment idea that truly drove the war and the fight for freedom and equality in America. Heyrman, Christine Leigh. 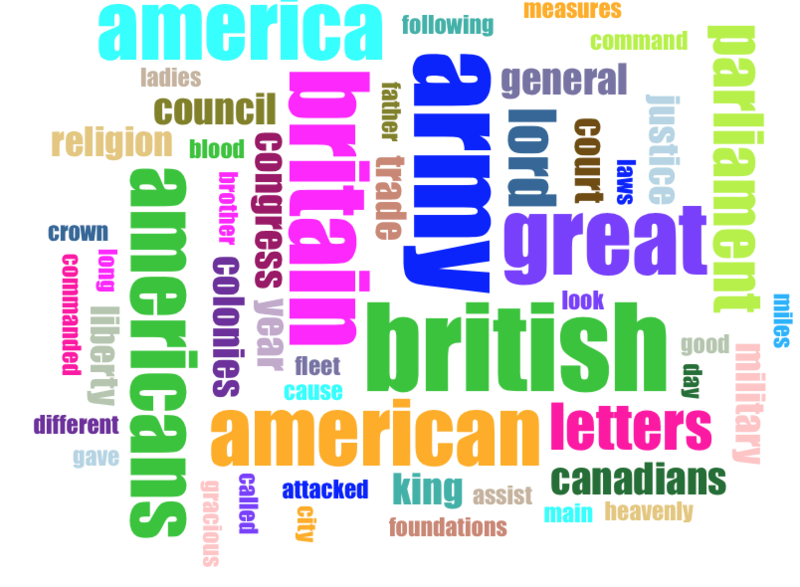 “Religion and the American Revolution, Divining America,” TeacherServe®, National Humanities Center. Stark, Rodney. “American Religion in 1776: A Statistical Portrait.” Sociological Analysis 49.1(1988): 39-51. « Who is a Slave? Copyright © 2019 Religion & Revolution. Powered by WordPress & Corpo Theme.